Mexicans in Tijuana are finding out what it feels like to have their home overrun by illegal immigrants. And to say that they don’t like it would be a gross understatement. Tijuanans turned out by the hundreds to not only protest the presence of the Honduran caravan in their city, but to also physically push them back. Surrounded by a large police show of force, the Hondurans are, no doubt, shocked by the response of the Mexicans protesting their intended temporary stay in Tijuana. 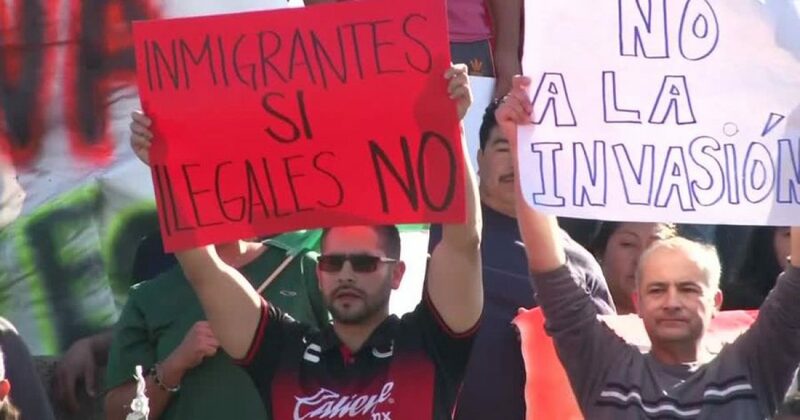 Mexicans in Tijuana do not want illegal immigrants in their country even temporarily. Imagine how they would feel if Mexican liberals and the media excoriated them as racists and insisted the Hondurans had a right to invade their community and demand that they be taken care of and their children fed and educated. Thousands more in several caravans are making their way to the US-Mexican border.